Of all the sections of Vault, perhaps none is quite as challenging to produce as that of Cellar. Mindful of the high level of sophistication of the magazine’s readership, our regular section dedicated to fine wines and spirits requires more than just a superficial knowledge of various estates and labels—a difficult task in itself with tens of thousands of producers and merchants operating around the globe today. Indeed, what was once a market dominated by a few giant companies with global reach has evolved over the decades to include specialist brands and small-batch producers representing every possible niche of the beverage sector. Thanks to the internet and the boom in global travel, consumers are more informed than ever about the choices out there and are quickly narrowing the gap between them and the connoisseurs. 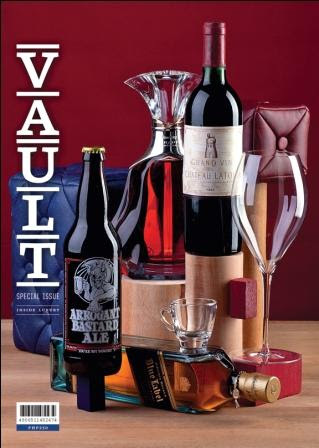 Vault’s special edition guide to premium beverages recognizes this growing experience among consumers and their insatiable thirst for new knowledge on wines and spirits. For beginners and oenophiles alike, this issue seeks to provide information that deepens the basic understanding of the beverages we currently enjoy, including some that may not have been tried or heard of yet in the local market. To achieve this, we turned to what we do best: information in digested form elaborately visualized for your enjoyment. In putting this guide together, Vault sought the help of experts and enthusiasts alike. Only those with a passion for such libations could communicate beyond the facts and provide a window into the emotional pleasure derived from collecting and consuming the beverages listed here. As you will discover for yourself in this issue, enjoying your favorite drinks goes hand in hand with experiencing the rich traditions and unique practices that are inextricably tied to them.